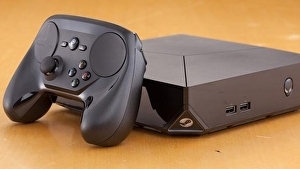 Home Eurogamer "It’s true Steam Machines aren’t exactly flying off the shelves"
"It’s true Steam Machines aren’t exactly flying off the shelves"
Valve has published an update on its range of Steam Machine branded third-party PCs, prompted by recent reports the initiative was dead in the water. To be fair, these reports were prompted by Valve itself – specifically, by the company’s recent, quiet removal of its Steam Machine category from Steam’s front page. Steam users were slow to notice the change – symptomatic perhaps, of the reason why the range was delisted. But after reports gathered pace in recent days, Valve has now responded.